South Africa and Nigeria won vital All Africa Games qualifiers on Saturday and are on the verge of a place in Mozambique later this year. South Africa beat Zimbabwe 2-0 to take the lead in their two-legged tie in Daveyton. In Benin City, Nigeria earned a dramatic 3-1 home win over Ghana to take the lead in their tie. The second leg matches of this final round of qualifiers take place in two weeks' time. In front of an expectant crowd, Ghana took the lead over Nigeria on the stroke of half-time - with Rabiu Mohamed profiting from a goal mouth scramble. But the home team rallied in the second period, and levelled the score on 50 minutes thanks to Nosa Igiebor. Eight minutes later Igiebor put Nigeria in front from the penalty spot after Nnamdi Oduamadi had been brought down in the box. Nigeria wrapped up the win with just over ten minutes to go, as Ibok Edet scored their third. Ghana, who named a squad packed with senior national team players, will nonetheless still have hope of overturning the result when they play the second leg in a fortnight's time. 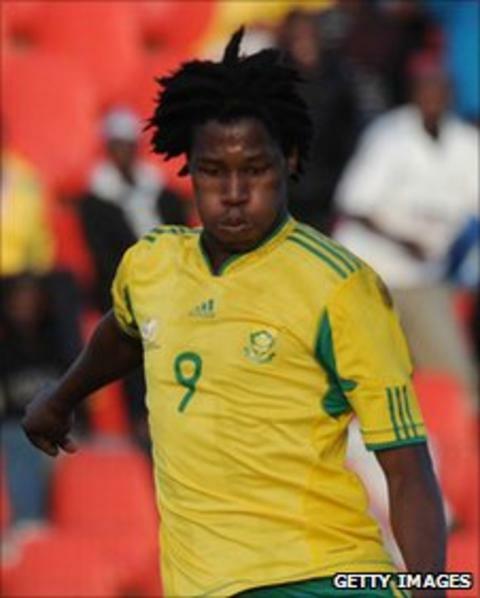 Meanwhile in South Africa, Bongani Ndulula got South Africa's two goals as he continued his rich vein of scoring form. Ndulua opened the scoring on 40 mintues and completed his double late in the second half. The Orlando Pirates striker also scored twice in South Africa's recent 5-1 victory over Benin in qualifying for the London Olympics. "We should have scored more goals after putting Zimbabwe under so much pressure but over-elaboration and wild finishing let us down," South Africa coach Ephraim 'Shakes' Mashaba said. But his counterpart for Zimbabwe has not given up hope of overturning the deficit in the second leg in Harare. "We are going to recover at home and win the tie after conceding two soft goals here," Friday Phiri said.